How much have computers changed in our lifetime? How have computers changed our lives? What will they be like 10, 20, or 50 years from now? Join our next Nerd Night at the Caldwell Collaborative to learn more about the future of computing. Two leading local experts, Jim Currey and Dr. Vladik Kreinovich will demystify the realms of super and quantum computing. Have you ever wondered just what goes on in the Cardwell Collaborative building? Nerd Night guests will also take a tour of this exciting new center of innovation. Supercomputing means processing of massively complex problems using the concentrated resources of multiple computer systems working in parallel. With the system working at the maximum potential performance of any computer, Supercomputing enables problem solving and data analysis that would be simply impossible, too time-consuming or costly with standard computers. Quantum computing is a new field of computer science based on the principles of quantum theory, which explains the nature and behavior of energy and matter. 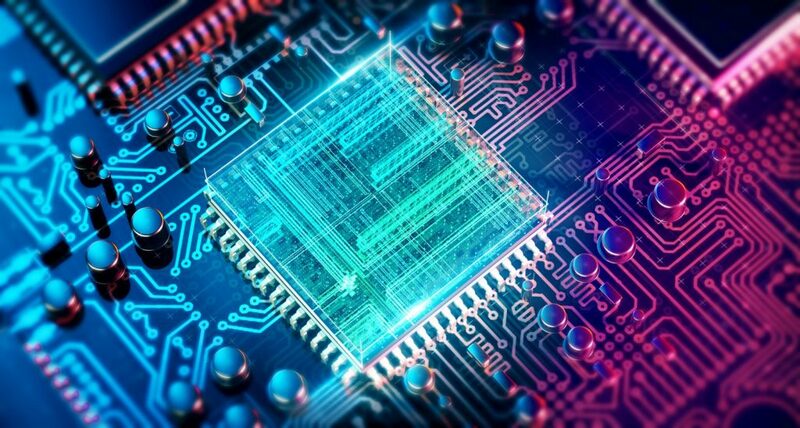 Development of a quantum computer, if practical, would mark a leap forward in computing capability far greater than that from the abacus to a modern day supercomputer. Currey Adkins was founded in 1975 by Jim Currey and Mike Adkins. The two partners were pioneers in the information technology service arena, both in El Paso and North America. With over 80 years of combined experience, Jim and Mike are still very active in the company today. While technology has changed tremendously since the company’s founding in 1975, Currey Adkins core values and dedication to our customers remain the same. With a second generation having now taken over the company, their philosophy, core values and customer dedication are even stronger. Understanding that providing the right solution for customers is what will drive growth; they are dedicated to making sure they continue to serve their customers for another 40 years. As a founding member of Currey Adkins and super computer expert Jim Currey will provide us with an overview of super computers, their uses, and future directions. He will also provide a tour of a supercomputer that he construed for the Cardwell Collaborative. UTEP Computer Science professor Dr. Kreinovich will share his enthusiasm and current research on quantum computing. With a PhD in Computer Science from the Soviet Academy of Sciences, Dr. Kreinovich brings an extensive depth of knowledge and experience to our Nerd Night.